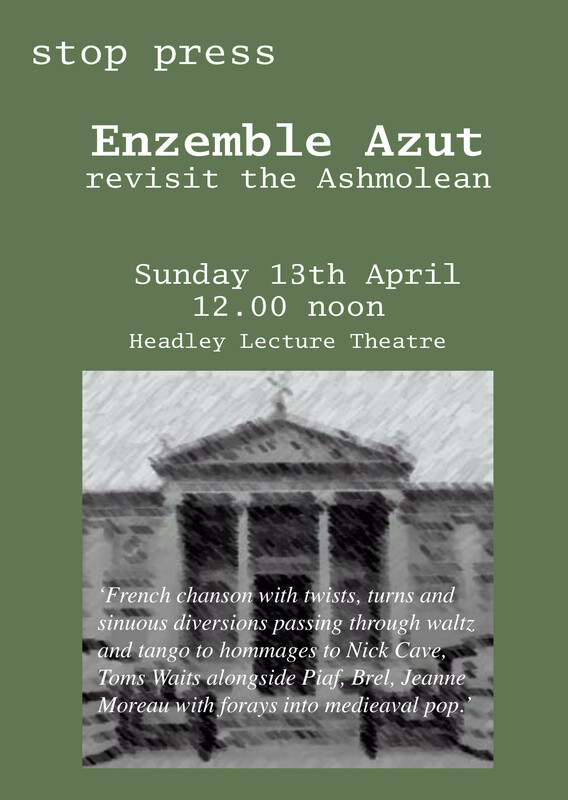 AZUT AT THE ASHMOLEAN SUNDAY 13TH APRIL | who's that knocking...? This entry was posted in diary, events, improvisation, music and tagged ashmolean museum, collaborations, David Stent, Ensemble Azut, experimental music, French chanson, improvisation, music, oxford improvisers. Bookmark the permalink.